Rotational Players: Show Me Your Last 3 Played Households! Hey fellow Rotational Players! Show me the last three families that you've played with. Include their household name, a shot of the whole family (favorite screenshots optional), a list of members and how they relate to each other, and a brief summary of what they're all about. Most recently, I've been playing with The Foster Kids household. It's sort of my own version of the foster kids challenge. 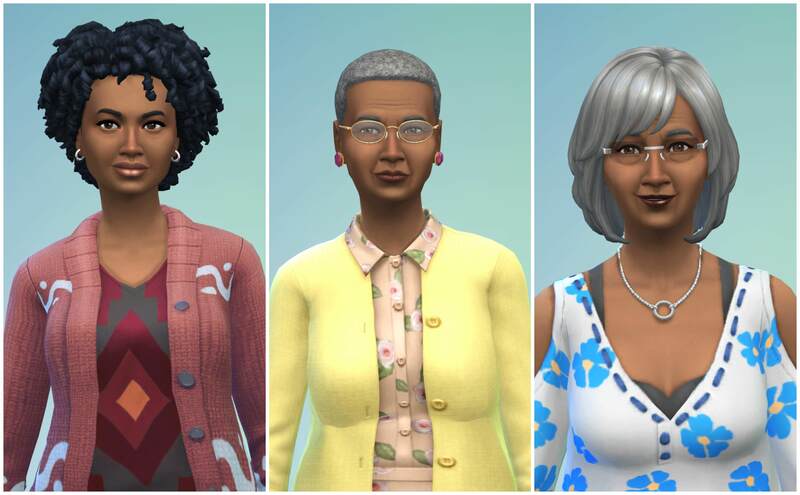 The parent Sim is named Minnie Boyd. She was able to foster 14 children before she became a senior. The main household is comprised of Minnie and her foster kids Lara MicKinnon, Emilia Harkins, James Calvert, Rachael Burkett, Tristen Knupp, Katelyn Michaels, and Brice Gold. There's actually a second household in the neighborhood of her first 8 children. 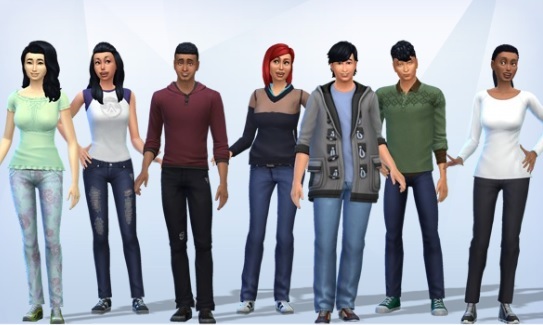 That household is home to Aimee Oakley, Ebony Webb, Adonis Ford, Juan Lopez, Jillian Edmondson, Annika Darling, and Leonardo Fonseca. I haven't played with them since they moved out though, tbh. 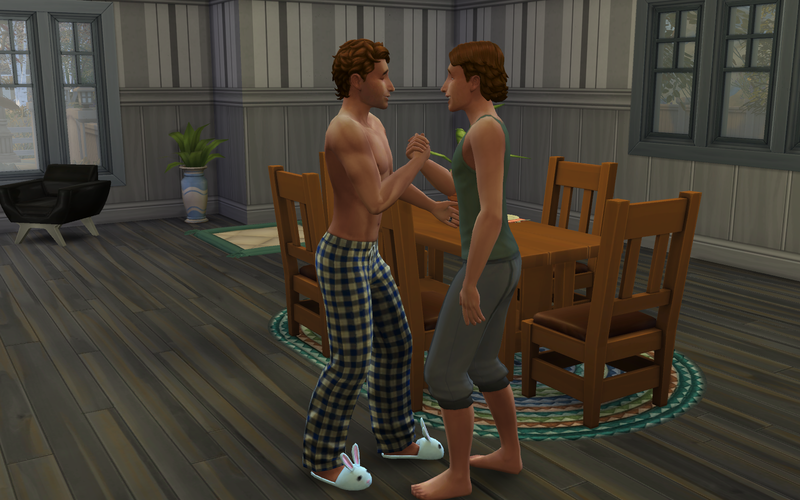 My 2nd mostly recently played household is another iteration of my favorite couple, Calvin Bennett and Antoine Goth. Antoine and Calvin are both in the Tech Guru career and have three kids. 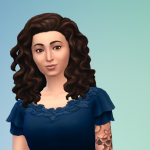 Blaire Bennett Goth is the eldest, followed by twins Vivianne and Archer (despite being the same age, Vivianne likes to tease Archer about being the baby of the family). They adopted several animals and currently have a dog and two cats. 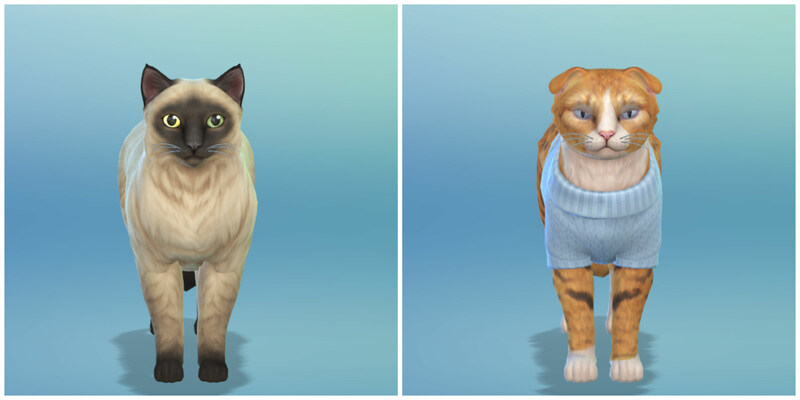 Their dog is an Icelandic Sheepdog named Kex and the cats are an Ocicat named Marmalade and a Devon Rex named Noel (adopted on Winterfest). My 3rd most recently played household is the Abandoned Kids household, the Nateur family. 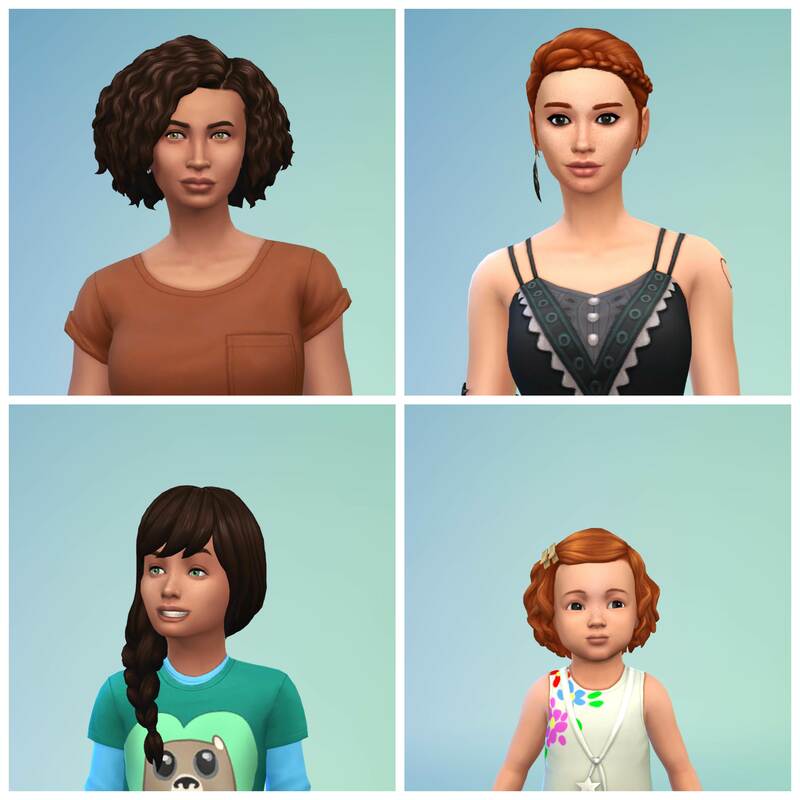 I created them to play the The Abandoned Kids Challenge by @Xoxk9 . The Nateurs were originally comprised of teenager Sage Nateur, child Milo, and toddler Wren. At one point while out foraging, they found dogs Nougat, a mastiff, and Frost, a Samoyed. Sage recently aged up to a young adult and married Cade Nix. 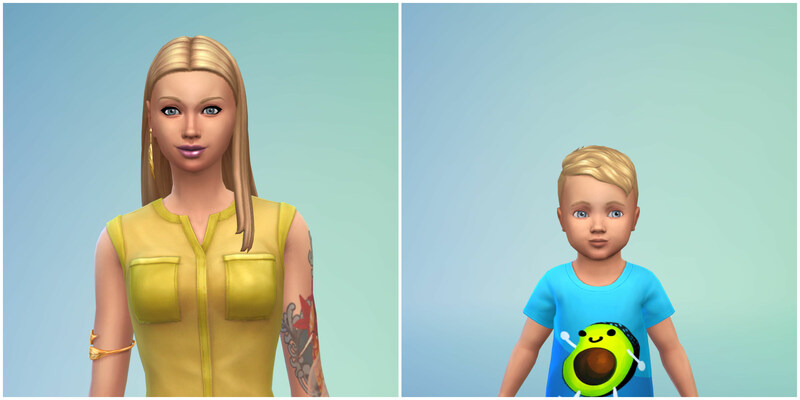 Sage and Cade have a now toddler aged son named Sade. Nougat and Frost also just had a puppy named Popcorn. LOL - they have all been deleted. I get bored with them easily. That post was very beneficial to this thread. Anyways, here are 3 of my households I've been playing. Giannis, Melody, and Zane. 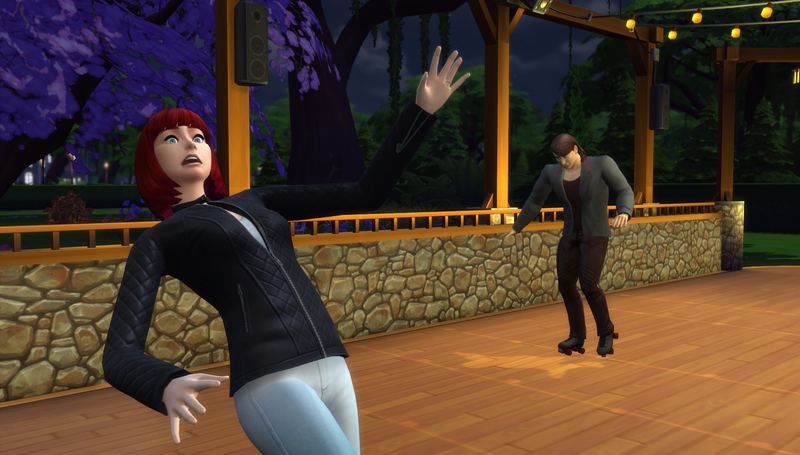 Giannis and Melody are both self-employed (Giannis an aspiring DJ, Melody a street artist), but funds are running low, and they're worried about providing for Zane. They'll both need to catch a break soon, or they won't be able to pay their rent. Grouchy Chester Phillips has a tragic past involving lost love and an unwanted immortal life that may or may not have affected his sanity. He's studying up on vampire lore so that he can one day cure himself and finally rest in peace. Jordan is a washed up actress, but still hoping to regain her fame and popularity (GF will be very useful for this family!). Her husband Owen owns a fitness supplies store and is the main breadwinner while Jordan searched for gigs. Daughter Aimee misses the glamour of celebrity life, and is also starting to get interested in becoming an actress. And little Stephy is just sweet and spoiled like most toddler girls. Thank you, I appreciate compliments! @HowGreatThouArt I love your households, specially the The Obi family! Thanks! I really love how Giannis turned out. Alas, the head of the orphanage is a very bad lady and has a secret career as a criminal. She sleeps all day and then goes off to her job at night. 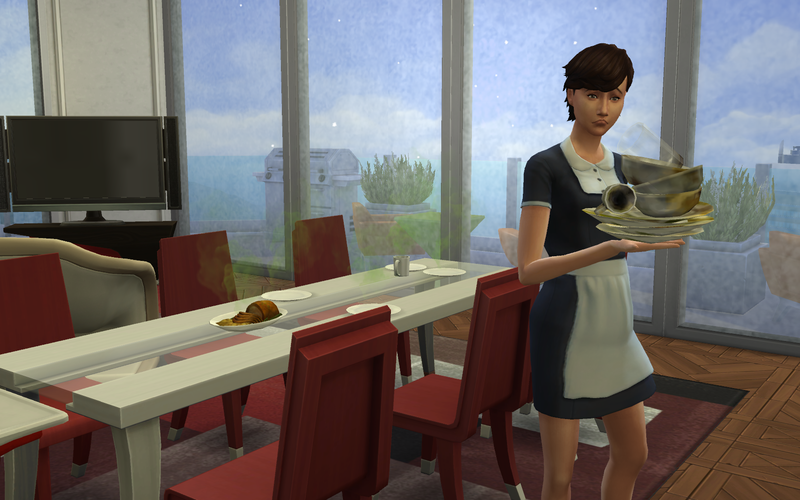 She expects the teen (Carlotta) to stay home from school all day and cook, clean and look after the toddlers. She comes out of her luxurious quarters occasionally for a meal and to yell at everyone. Poor Carlotta has never left the Lot. It is freezing there too, as Imelda (the adult) never lets them have the heating on. 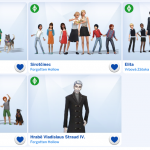 I actually started this couple in a different game and their twins were born in that game, I saved them to my library and then added them to this current rotation. Lorna is a police officer and Joe is an athlete. Joe looks after the girls in the mornings and then goes to work when Lorna gets home. They are very fortunate to be the family who gets played through Christmas! It will be my first Christmas in the Sims 4. 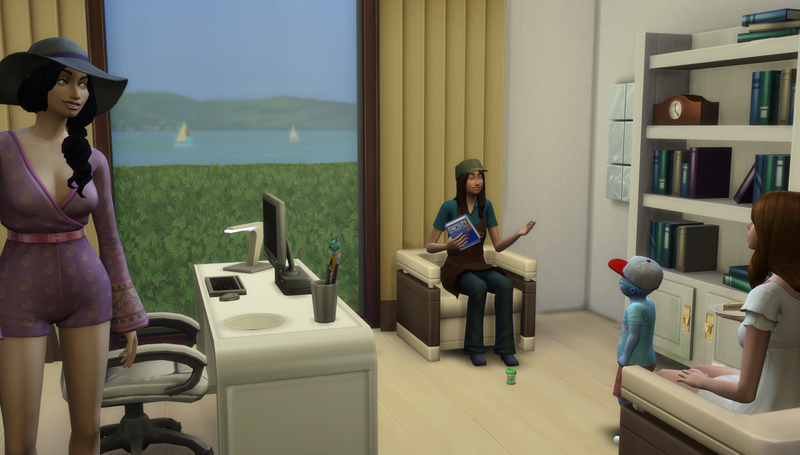 Tom and Kate run their own vet clinic in Windenburg, which is still in early stages and at 3 stars. Their daughter, Lucy, is a tomboy and is in the scouts. She loves their dog, Nutmeg. Tom and Kate take turns treating the animals at the clinic whilst the other one is upstairs making vet treats etc. 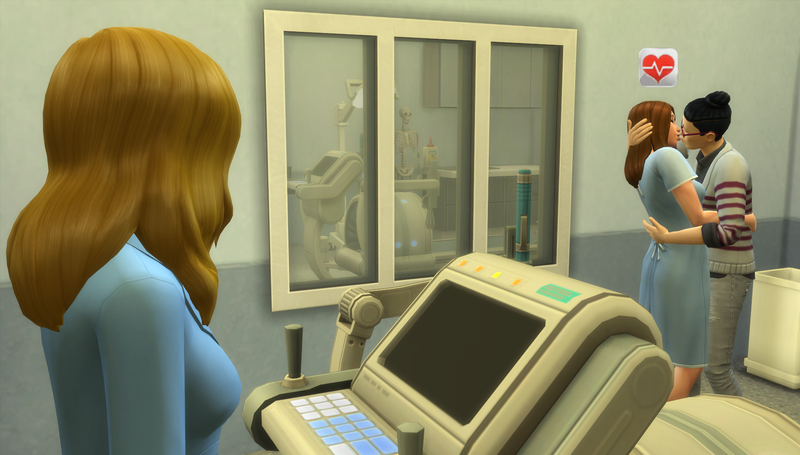 They always make sure to close the clinic for 3pm so that they can get home for when Lucy finishes school. 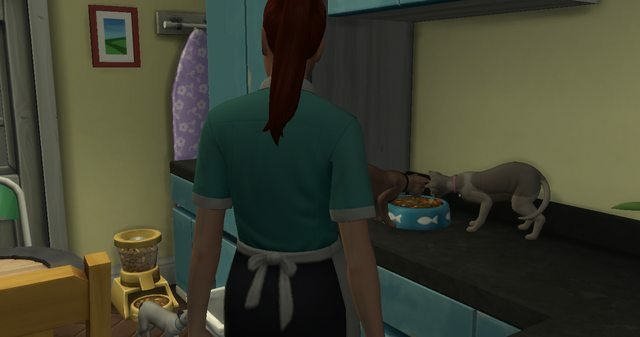 Alas, every time I switch to playing this family, Nutmeg is always dirty and ill and they have to go straight to their vet clinic to treat her. I wish this wasn't a thing, cos my vet family would never let their beloved pet get into such a state. My most recent 3 households. Kleio and Leah are a very cultured couple that love the arts and going to the local library with their two girls. Tegan loves being a scout and also playing with her little sister Tiara. 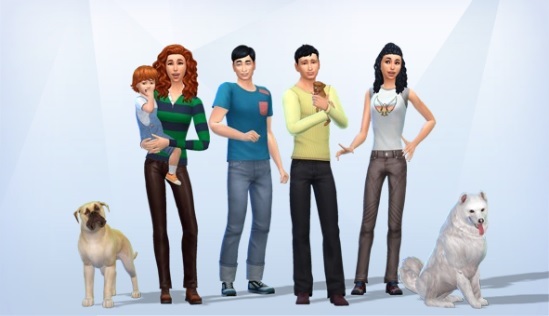 I made the kids with CAS because I really wanted to see how their offsprings will look but I want them to have another child soon and this time they will adopt. Annie is a happy adult that lives with her mother Adelaide and her aunt Madelaine. Annie is not interested in romance whatsoever and likes her life as it is, she is a programming genius as well. Adelaide and Madelaine are twins but couldn't be more different. Madelaine is very outgoing and modern and likes to go to museums, restaurants, and belongs to 3 different clubs. Adelaide is a lot more traditional and quite. They also have 2 cats named Misty and Foggy. 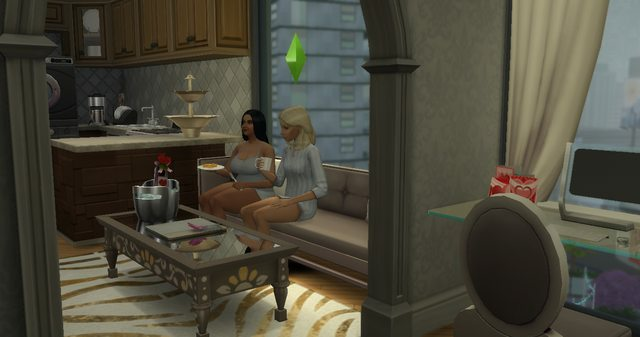 I always have a blast playing this household and I wish we had more activities and hobbies so my elders could do more stuff. Kenya is a very stylish sim that loves living in San Myshuno. She has a little boy called Matteo who is the cutest! 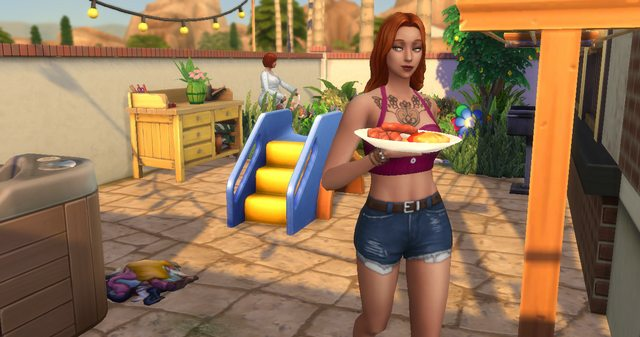 This is the sim I am preparing to become a stylist influencer once we get the patch, I can't wait! Btw, I love this thread and hope to see many more rotational players sharing their households! I love the idea of this thread! I don't have CAS/portrait pictures of my families, so I'm going to post some recent shots from my screenshot folder. 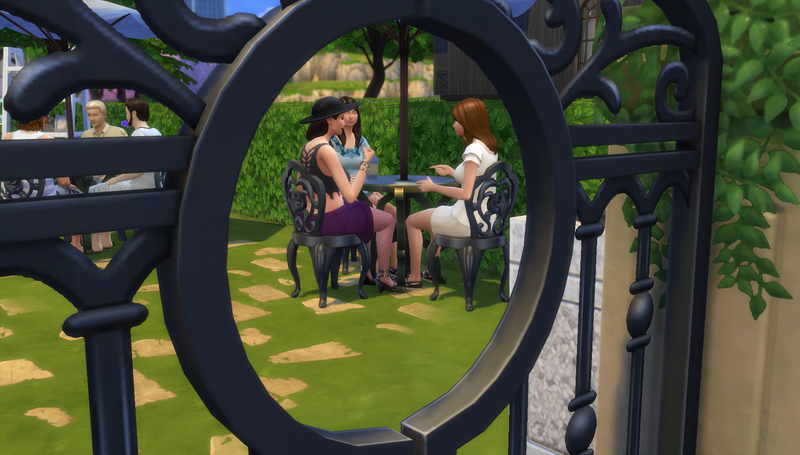 Hilja and Lilja spending the afternoon with their friend in a café. Kiara is a professional athlete, so even when they went for a weekend holiday (just the two of them, no kids), she had to keep up with her exercising schedule. Back at home Sachi and Hope did not get along well. 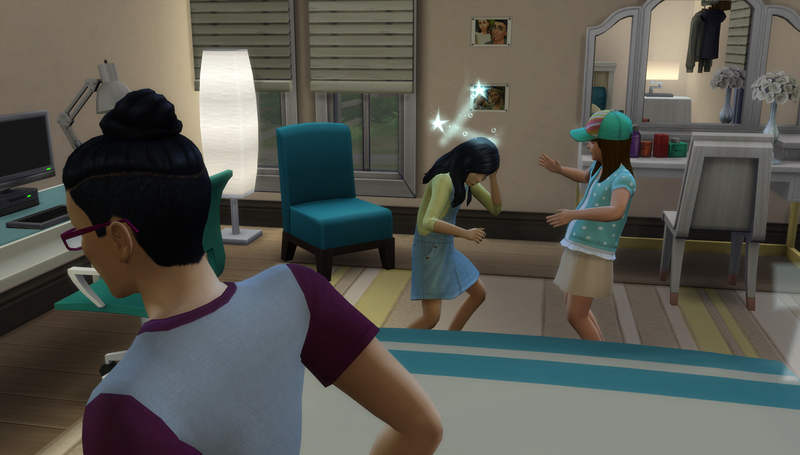 This is the first time I had children fighting. Their holiday resulted in a new baby girl, Faith. The doctor delivering was Hope's grandmother, how awkward. Third most recently played family is my single criminal sim Claire Stripes. Here you can see her learning to skate with her neighbour Syrup Pancakes. I had to play the beginning of their romance twice because my game crashed. But it wasn't that awful. 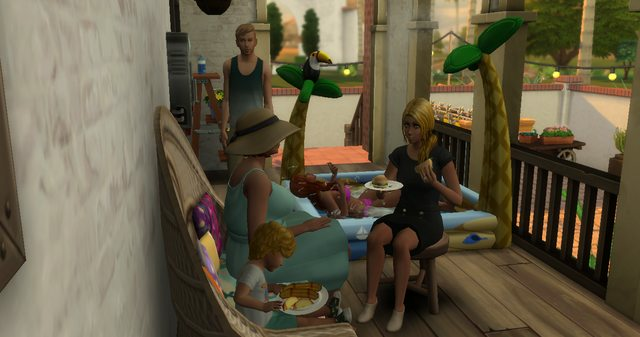 Is there a way to find the family shots somewhere in the game files or how do you extract them? @AlbaWaterhouse I adore the Lovejoy family! I hope I can have a family like that one day. It would take some effort to set up in a generational play, but not impossible. Just noticed that in my screenshots three females have the same hair... I like that hair a lot, but I swear I don't use it on everyone. Thanks, it is one of my favourite households at the moment! 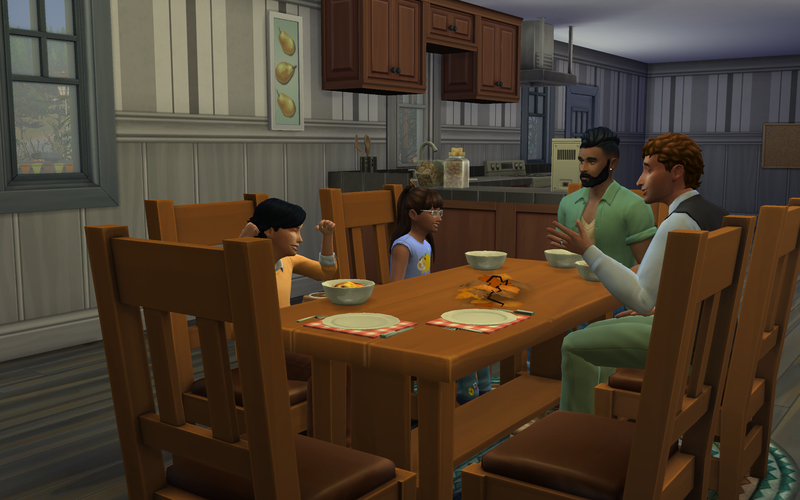 The family shots I assume are taken from the "manage household" menu in game or from the gallery itself. I use Fraps to capture the screen when I bring up the edit household option. I did the same thing for the exact same reason but I think I still have them in my Tray somewhere. All those challenges with kids you play sound really fun OP ! I only play premades, does it count ? If so here are the last 3 I played, no introduction since they're in everyone's game. Sorry no fancy pictures, these are just random gameplay screenshots from my last session. 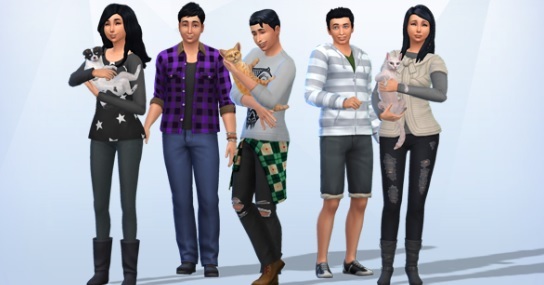 The Lynx household. 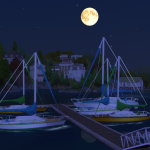 Catarina left Brindleton Bay to move to San Myshuno and her daily routine is now feed her 4 cats ... clean after her 4 cats ... go to her low-paying job ... rinse and repeat. The Rosa-Capricciosa household. 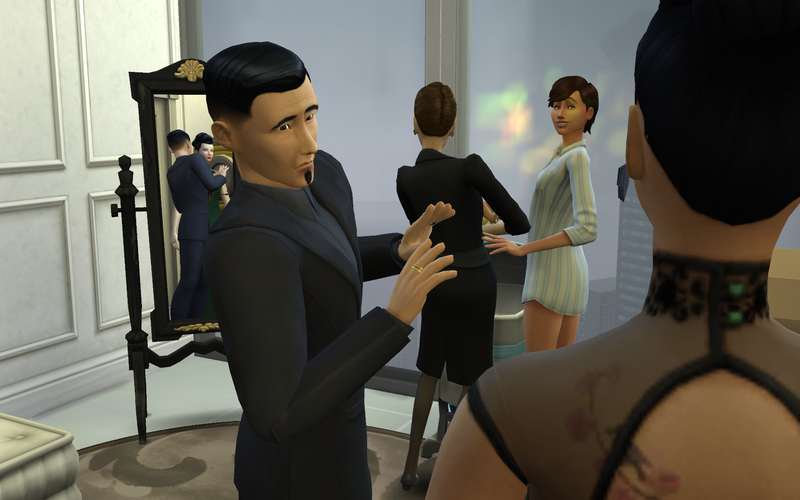 Jade and Eva got married and left the Partihaus for a tiny apartment (I just love playing apartments). Downside of tiny apartment is no room for Get Famous vlogging station, so I'm moving furniture around. Behold, the dining couch. I mean, vloggers are a bit eccentric that could work right ? And finally, summer hols fun with the Calientes. 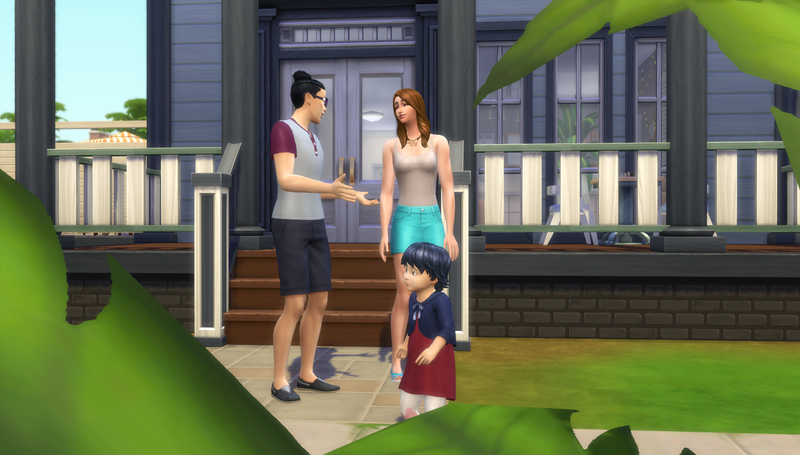 Katrina, Dina, Nina and Don still live together, Dina married aspiring actor Johnny Zest and they have a really cute toddler. I don't feel like the house is full enough yet. Might need more babies. ...are not really part of my rotation. I played them for a simsweek yesterday, because I needed to wait for the tulips behind their house to bloom and moved my sim Rupert in for that time. 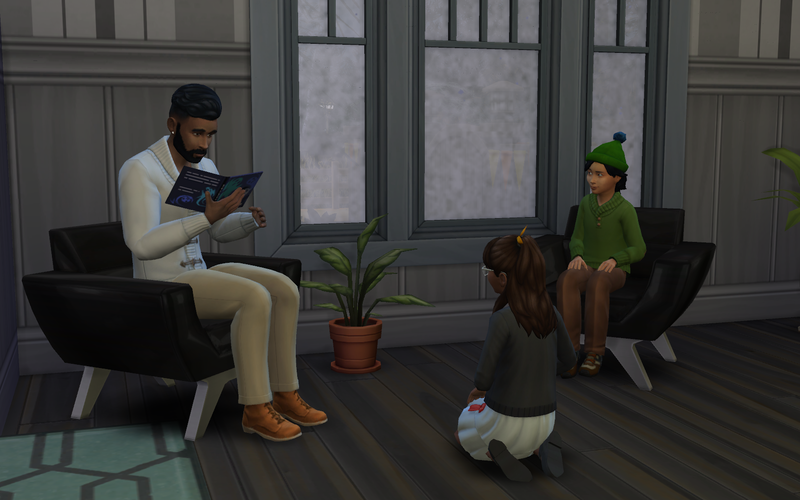 The Landgraab hired him to start them a little garden, including some exotic plants that Rupert brought along from the rooftop farm (see household 2). Nancy is still a criminal, Geoffrey is her partner-in-crime headed for the villain branch of the secret agent career and they are still madly in love with each other. I often see them in San Myshuno, doing romantic interactions. They didn't even aquire love interests on the side while unplayed (Geoff usually does that, Nancy is the faithful one). I play Geoff as an "honorable criminal", who keeps his word, donates to the public and so on, so in his own opinion his Good trait still applies. Bullet I adopted for Rupert to start working on his animal training skill. She is aggressive, loud and a glutton and the first thing she did was attacking the adoption agent for daring to put her in the transport box. What a fitting addition to this family! Malcolm's Evil I changed to Mean, what brought him into the penalty range for Empathy. And finally little Draco Landgraab joined the family, because I only ever gave Malcolm kids before, never Geoff and Nancy. Draco got aged up instantly from the crib. No wonder he's fussy! I love this family, but will put them back to "unplayed" today. ...and consists exclusively of androids. Three of them are identical models built for farmwork. The fourth is specialized in gardening/landscaping and I decided that he worked at the Chalet before. Left to right Rupert, Peregrin, Ralph and Meriadoc. Rupert and Ralph I adapted from Detroit: Become Human which this save is based on. They are fully capable of human feelings and making their own decisions, while Meriadoc and Peregrin are more robot-like, but still very loyal to each other. The goal for these four is to perfect all plants and then buy themselves free. Afterwards Rupert aspires to become a veterinarian. Ralph to my and his surprise became close friends with Ulrike Faust. They even started dating recently. Merry and Pippin will probably become a couple in addition to very confused about what to do now. ...doesn't have a surname other than his model number: PL 600-A (basically a PL 600 from the Detroit game, but customizeable). I first used him in a story before taking him into the gameplay save. A former mistreated servant of mayor Viktor Feng (not part of the rotation), Phillip faked his death to escape. Up until recently he worked for the organized crime in exchange for protection, but is on his own in the hacker branch of the criminal career now. Also versed in handyness, I see Phillip as the equivalent of a doctor for his kind and indeed he holds life in high regard, despite having to constantly struggle against his Mean trait. He's also interested in eating and even purchsed an upgrade that lets him experience taste. 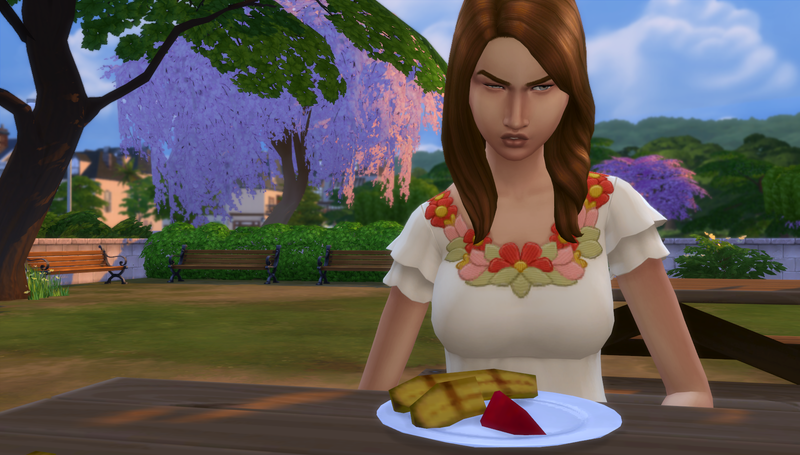 The Phillip sim is a copy of Wolfgang Munch, only aged up to YA. It made sense within the story, and in the gameplay save it's fun to see them both cause havoc at the Humour & Hijunks festival. Oh had a lot of awesomes to give out I just like hearing about everyone's games my last families were in the background group I might hop in for a few hours or just to grab a an item and move on for them usually but I've played with them a bit. I don't really have the exact requirements for the thread I just have the pictures here like this. These were paired off when I had mccc in game. This is Diego Lobo's wife tipping the maid I didn't know they had, they had a son not too long ago, I decided to keep them since they remained faithful to one another. I am blanking on her name I really need to spend more time with them lol. These are twins to Catarina Lynx and a townie named Krishna, he cheated on her while she was pregnant with a sim that ended up losing his first child. 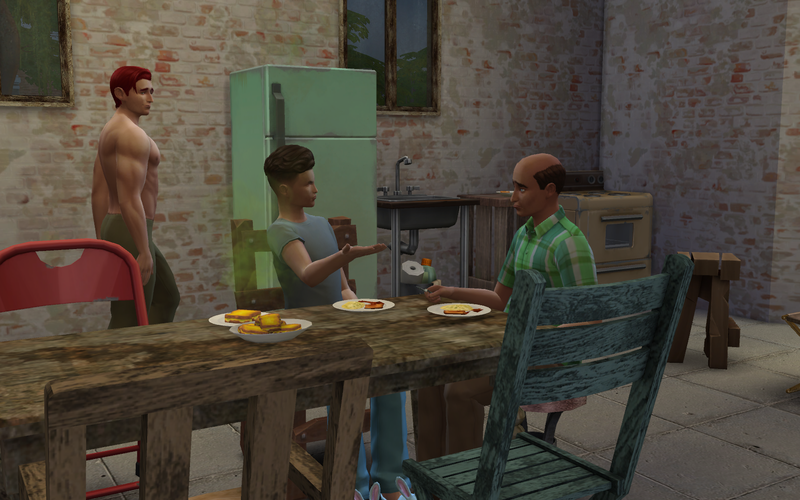 After she ended up divorced and on her own, following being caught cheating, she gave him his older set of twins that Cat doesn't know about now that the mod is gone he remembers his other kids but has forgotten his side piece. Then Dennis Kim here and his wife Sara, he has another grandchild now but recently she gave him a second daughter, and their twin girls that were just born and as you can see she's pregnant again, they also remained faithful to one another I hope he gets a son before his time is up but it's approaching. 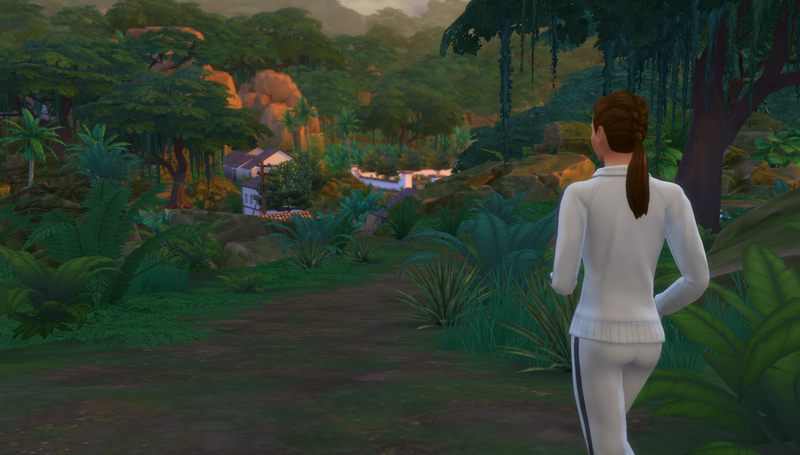 His second born daughter follows him the most he was outside telling Salim to be quiet, maybe when Dennis dies Sara can pick up someone else. Hopefully you'll have something to contribute in the future. Great families! I especially love Old Man Phillips's backstory - remind me of Louis from Interview with a Vampire. Poor Carlotta! I hope there's something she can do to help the little ones. Maybe Imelda meets with an unfortunate pool-related incident. The Swann family is so cute! I hope you come back and introduce us to the family's latest addition. Is Kenya a Singe Mother By Choice? I'm glad you like the idea! Hopefully lots of friends will come and share their households with us. Wow, I've never seen children fight on their own - only mischievous interactions. They must really dislike each other It must be so hard for Kiara and Hisoka. I really like family style game play, so I think it was natural that I be drawn to those challenges. How about you? Pre-mades totally count! 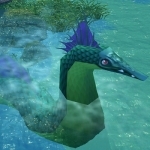 I especially love seeing what pre-mades' descendants end up looking like. Sounds like Catarina and Krishna have had a lot of ups and downs in their lives. Sounds like it makes for great story telling. 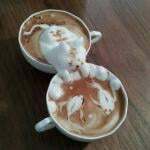 As for Kenya, it was a bit of an accident. 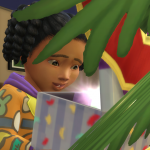 Celebrating her birthday from teen to YA hooked up with a townie (something I actually very rarely do but he was actually good looking) and I accidentally pushed "try for baby" instead of "woohoo". When I realised it was already too late so I decided to just go for it. An extra challenge for her. 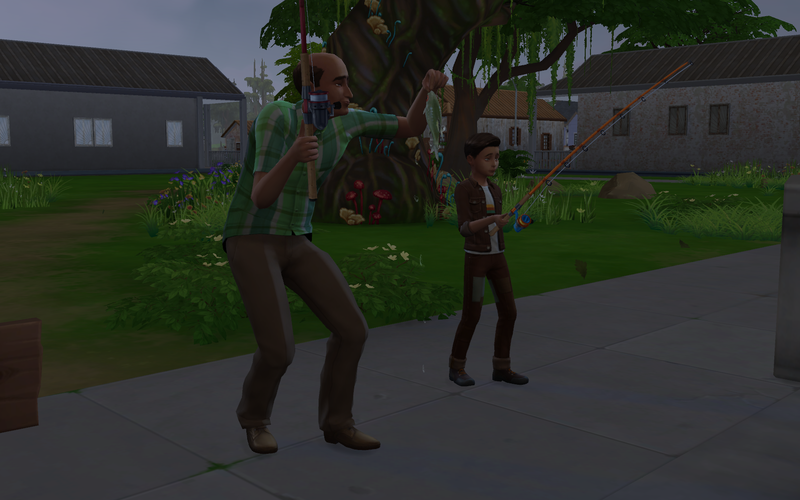 I deleted the father/townie from the game and pretended he just disappeared because he didn't want to be involved in their lifes. 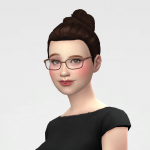 Alessia is the daughter of Penny Pizzazz and a Sim I created. She met Marcus Flex, a premade from City Living, in the gym and they married really fast. Marcus died a few days ago, Alessia ages up to elder in one day. They have 7 kids (only one son) but only the youngest three girls, triplets, still live with her. They became teenagers yesterday. 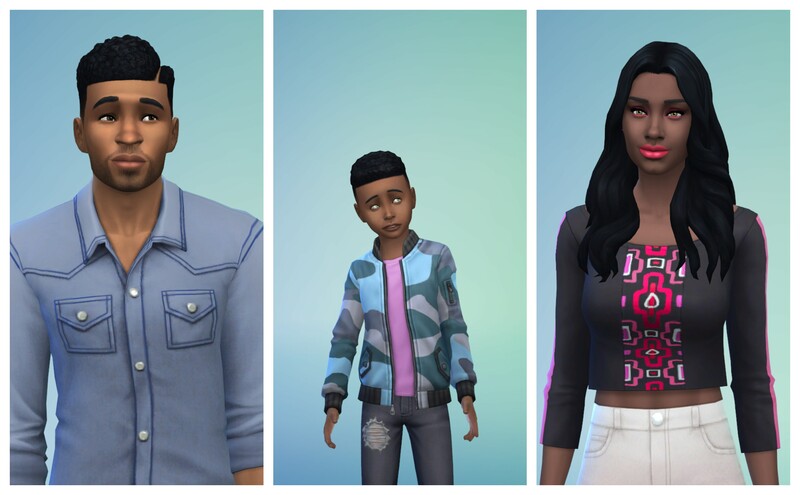 They got twins, Kim and Rico, who are teens now and young daughter Nathalie, who was born the day Geoffrey Landgraab died. Anneta is the same age as Kim and Rico, but she is the sister of Malcolm. Nancy and Geoffrey got pregnant at the same time as Luisa and Malcolm. Annetas parents both die, so she grows up with her cousins. Saskia is the daughter of only Luisa (and another of my ingame born Sims) but Malcolm think, she is his child. Mari is the daughter of Alessia Pizzazz and Marcus Flex, Felix grandparents were made by me, so he is born ingame. They met in school and I decided early to marry them, they really fit very well and are so loving. 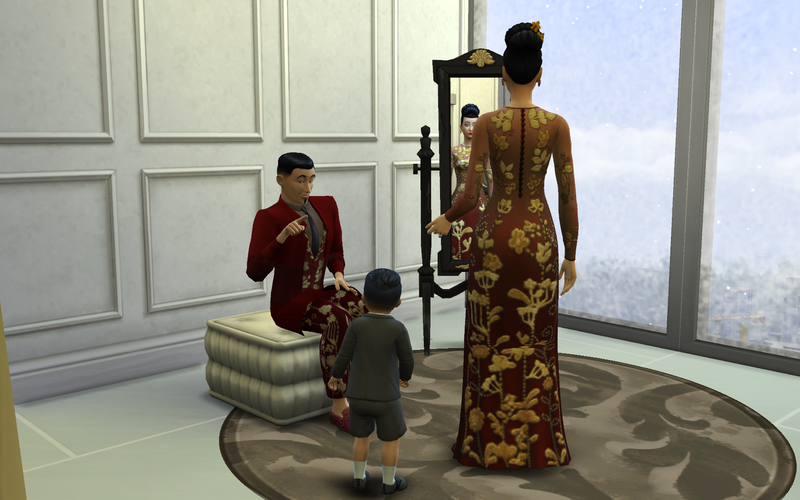 Daniel just aged up to toddler and Mari is pregnant at the moment. I directed them to do the first fight, but after that they fought another time on their own. I'm actually planning that Hope could move in with her aunt when she becomes a teenager. She lives on the Fashion District and Hope really likes the city. Victor and Lily have a little son Akira. Lily do not care about him. But Victor do. And too their maiden - Luna Villareal - takes care about little Akira. AND she has daughter. But Victor is top politic, he can not a plum. He have big friend. VLAD! I am on mobile phone so I must create new comment. I AM sorry for this. Secondary they adopted teo children. 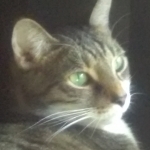 One is Evie Delgato and boy is cas child from tge rich family H-S-Lewis. 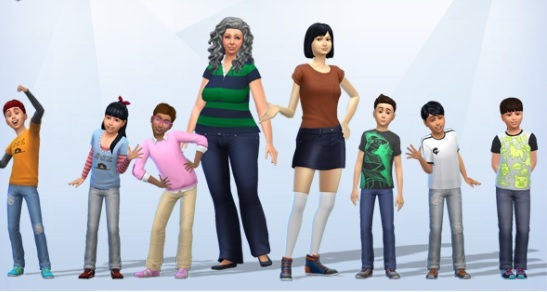 I download Alvi family from Gallery, this family was in TS3. One father, one evil teen, one good child. Father (IQball) is a fisher, Miraj help him, it is only money for this family. Max and Patric terorize father I. ALVI and little Miraj too, both have bad times now.. I am sorry for my english! I go on this forum for practice my english. I play a lot of saves but have been consolidating an odds and ends save based on some of my favorite horror/sci-fi/dark comedy ect viewings, because I end up having way too many save games. Mostly it's a save where I don't create a whole world for them but really want just the characters in it. I'll divide up my pictures and post per family. Today I played with Willard Stiles, his cat Scully Watchit!, and his pet rat Ben. Willard is a gloomy, a loner and clumsy to boot. I decided to make him a writer for now and mostly he just takes care of his pets and gets a long with folks he comes across. In the movie he's basically the whipping boy for his boss and others and gets his revenge through his trained rats. So far Willard hasn't had anything happen to get him upset enough in my game to send him over that edge though. He very likely won't.. but it depends probably on how skilled he gets and if I eventually get tired of playing him in basically a nice manner. I had planned on using the rodent disease as his weapon if he needed it but so far so good. I really do like him being as happy as he can be in my save and so far the rats cage has been very clean. I plan on finding him a girlfriend eventually. I was really inspired to create the next family recently because of a build I ran across by RoxxySims called Sweeny Todds Barber Shop. I kept thinking how am I going to incorporate a fashion influencer in my creepier themed games?? ... and when I ran across that build I was very excited because I didn't have them in my game yet. So I made Sweeny Todd and Mrs. Lovette. 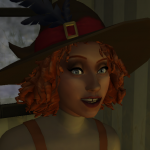 I call her Nellie Lovette in my game and really I'm not sure what their relationship will be yet, because I have to play it the sim's way and I hate to kill off main characters. I might make his wife a ghost that wanders around later though haven't decided. 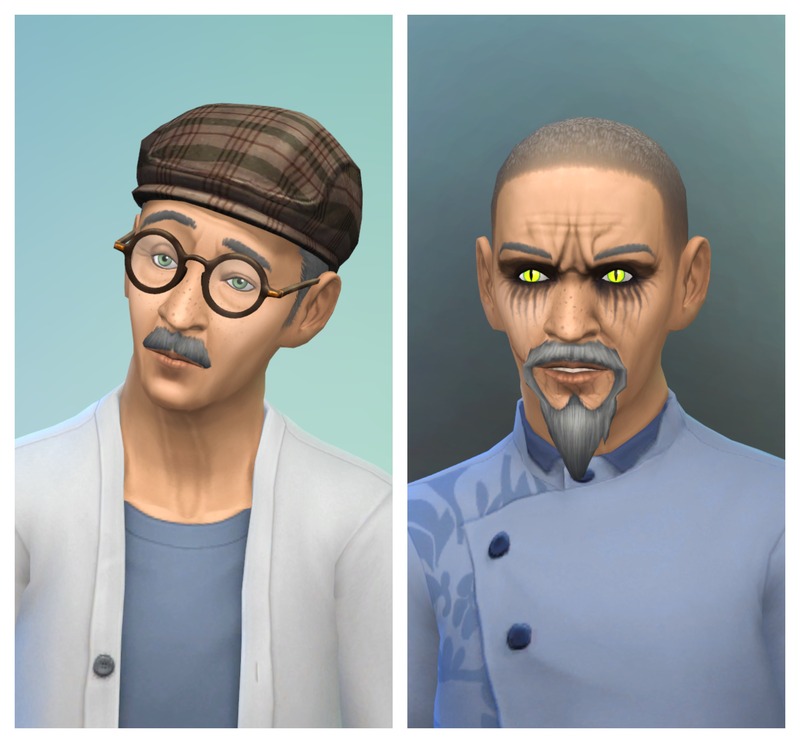 Anyway, he is destined to do townie makeovers and if he likes the townies they will actually get a makeover. If not well.... don't have to spell that out right? Right now I'm focusing on getting him some charm because I think it's needed for people to agree to a makeover. He's an evil, gloomy, and a perfectionist. I decided to make Mrs. Lovette jealous, family oriented and creative. I know for those that know the story it's not anywhere near exact but I like to make them how I can actually play them and I basically hate to play slobs if we had a loyal trait or a manipulative one I'd be using it though. Anyway I had a bunch of fun setting them up recently and getting Todd out and about to scour the town. Here is where they live mentioned it earlier. I want to still put out some patio seating and change some things. Love the build but it was built with MOO and I'm removing and changing stuff when I run into problems. Kinda hard to cook if the stove doesn't work kinda stuff. But I still love it.